Welcome to episode Thirty Seven of The Inspired Women Podcast. 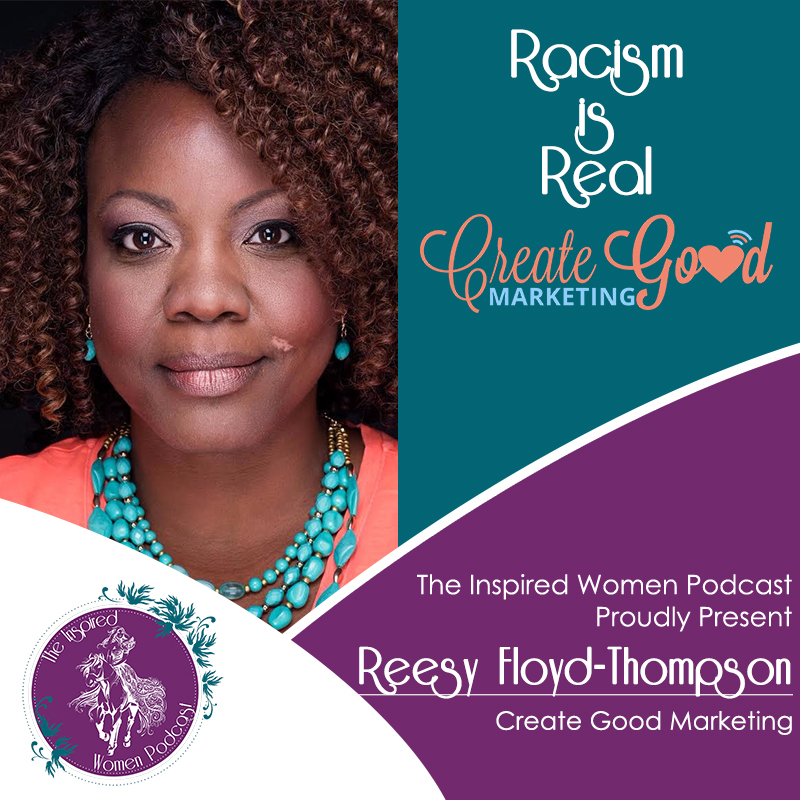 In today’s episode your host Megan Hall chats with Reesy Floyd-Thompson about racism. Reesy aka Digital Wonder Woman is on a mission to teach non-marketers and do-gooders how to use digital marketing to create good in their lives and business. She specializes in the I-don’t-know-jack-about-marketing entrepreneur. Her work has been featured on several local and national publications and she was was just recently named Best Outstanding Emerging Professional and Best Social Media Personality by CoVABiz magazine. Find her daily on Facebook creating good and sharing her best tips digital marketing tips with eager business owners. Wife, mother, idealist addicted to thrifting and Netflix. Super cool chick. Join the community learning about how to use digital marketing: Digital marketing for non-marketing and do-gooders. Reesy, I LOVE IT!!! It does hurt when people say, “get over it.” IT is still happening today. Megan, I love that you opened your platform for this message. Thank you so much! I am looking forward to your episode airing as well.